On CNBC's "Fast Money Final Trade", Steve Grasso revealed that he is bullish on Avis Budget Group Inc. (NASDAQ: CAR). 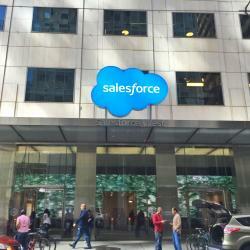 David Seaburg would own salesforce.com, inc. (NYSE: CRM) on any weakness. Brian Kelly expects higher interest rates and he wants to buy ProShares UltraShort Lehman 20+ Yr(ETF) (NYSE: TBT). Guy Adami is a buyer of FireEye Inc (NASDAQ: FEYE).